On 14 March 2013 Institute of Sustainable Education (ISE) was proud to host an academic discussion with delegates from College Capital Blaagaard-KDAS in Denmark. 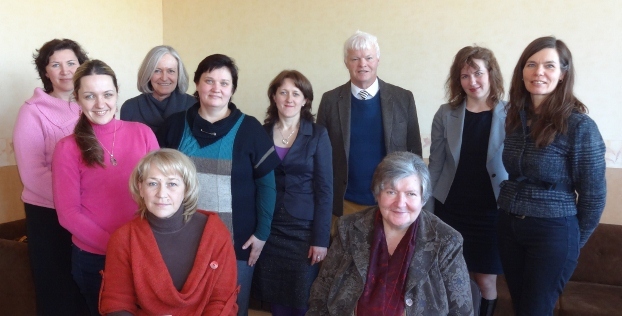 Associate professors Eva Roenn, Birgitte Henriksen and Helge Kastrup’s visit to Daugavpils University (DU) was financially supported by ERASMUS Lifelong Learning Programme. The Danish faculty are renowned experts in the training of mathematics teachers, especially in regards to the preparation of specialists for early childhood education. This specialisation of the visitors prompted ISE researchers to assume the role of intermediaries between the Danish delegation and the faculty who are directly involved in mathematics teacher education at DU. Thus ISE served as a figurative bridge to connect the Danish guests with their counterparts from DU Faculty of Education and Management and Faculty of Natural Sciences and Mathematics. ISE was represented at the meeting by its director associate professor Dzintra Iliško, editor of ISE journals researcher Astrīda Skrinda and researchers Ilona Mičule and Mārīte Kravale-Pauliņa. During the academic discussion, those in attendance examined the specifics of educational systems in Latvia and Denmark, shared success stories, talked about challenges as well as explored similarities and differences in the content of and methodological approaches to mathematics teacher education in their respective institutions. It is to be hoped that this discussion has afforded to both Latvian and Danish educators a wealth of valuable insights for their further academic endeavours as they continue to pursue excellence in the preparation of a new generation of mathematics teachers who are both capable and committed to providing quality early childhood education in the two countries on the Baltic shore.